Hey Guyz, Today i am going to share a Laptop deal, if you are finding a mini laptop to buy online from amazon or flipkart and that's with Chrome Operating System made by Google, then this Saving Offer on Chromebook is just for you. 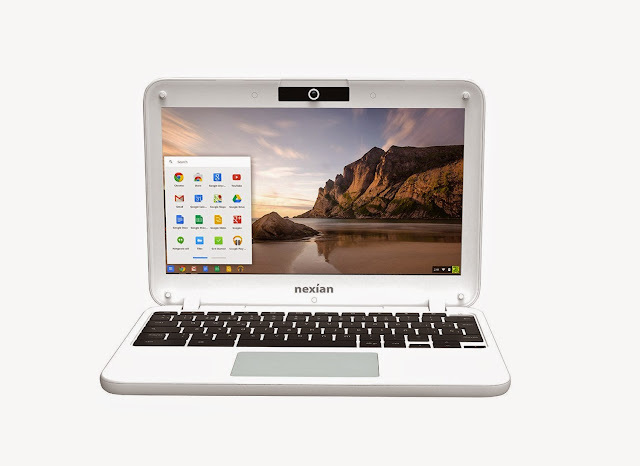 Nexian chromebook comes with 2 GB DDR3 RAM, 16 GB Hard disk, 11.6 inches TFT Display, Chrome Operating System and many more exciting features. The Regular Price of Nexian Chromebook is 13,499 Rs, but in this deal, you can get 500 Rs discount and it will cost you 12,999 Rs from Amazon. For More Exclusive Offers on laptops and other stuff, stay updated with All India Coupons.